All 10 Democrats on the Senate Judiciary Committee are calling for a delay in this week’s vote on Supreme Court nominee Brett Kavanaugh. 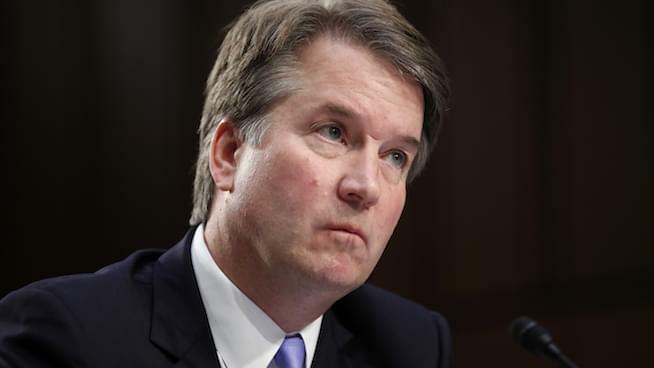 The group wrote Iowa GOP Sen. Charles Grassley, stating that the postponing of Thursday’s hearing would give the FBI time to investigate allegations by a woman who says an inhibited Kavanaugh tried to force himself on her at a party when both were in high school in the early 1980s. Grassley says it isn’t going to happen, Joshua Davis, director of the Center for Law and Ethics at the University of San Francisco, isn’t ruling it out. “It’s so easy for the folks who are sort of more moderate in this, whether it’s Flake, or Murkowski, or Collins, or the red-state Senate Democrats to say not: ‘I am against’ or ‘for,’ but: ‘I think we need to look into this more closely,'” Davis told Jack Armstrong & Joe Getty. In the podcast below, Davis shares his thoughts with the guys on Kavanaugh’s current approach to the situation — flat denial — and how he sees it shaking out for the judge.